I love color and I am always attracted to shades of green. It’s one of those colors that works well on a variety of skin tones and just so happens to be a color trend for Spring 2017. 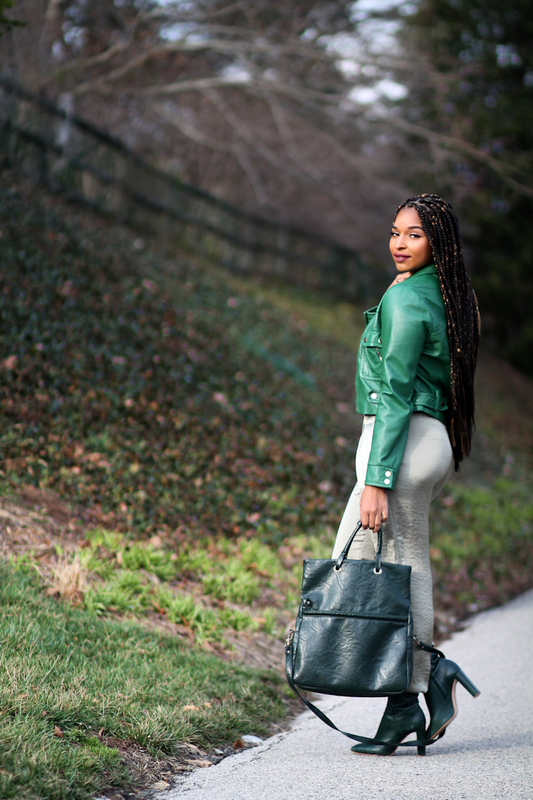 I created a monochrome green look that is ideal for transitional weather. It’s been 70 degrees one day and 30 the next, so layering and color are key to keeping you sane until the weather fully breaks! When it’s cold and hot at the same time I normally bring out my leather coats. I scored this emerlad jacket while working at BCBG in college. Needlessly to say it’s lasted through out the years and adds a nice color pop. 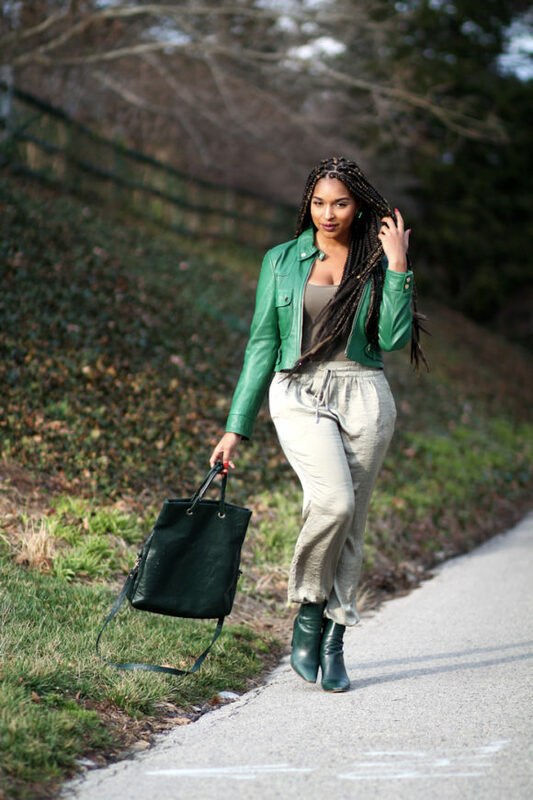 I styled it with a moss body suit, providing a tighter fit, and sage silk joggers. 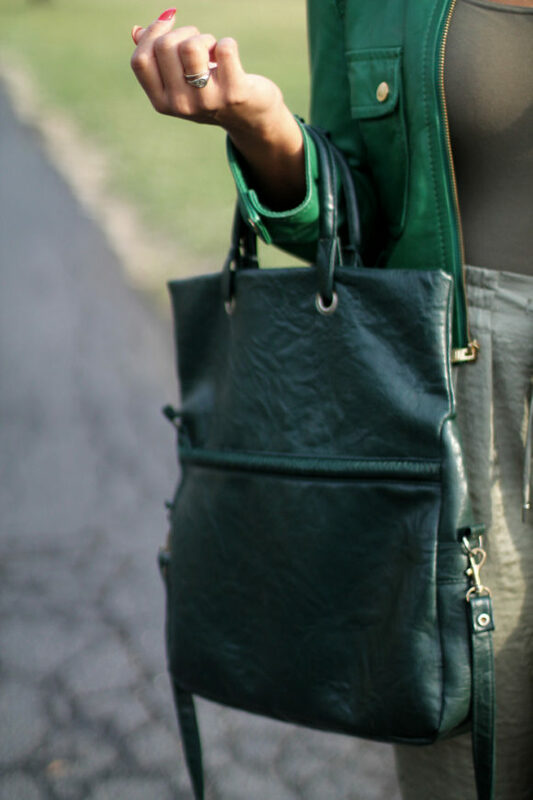 My forrest green boots and vintage bag complimented the three shades. Create this four shades of green look using the pieces below and try it with other colors!